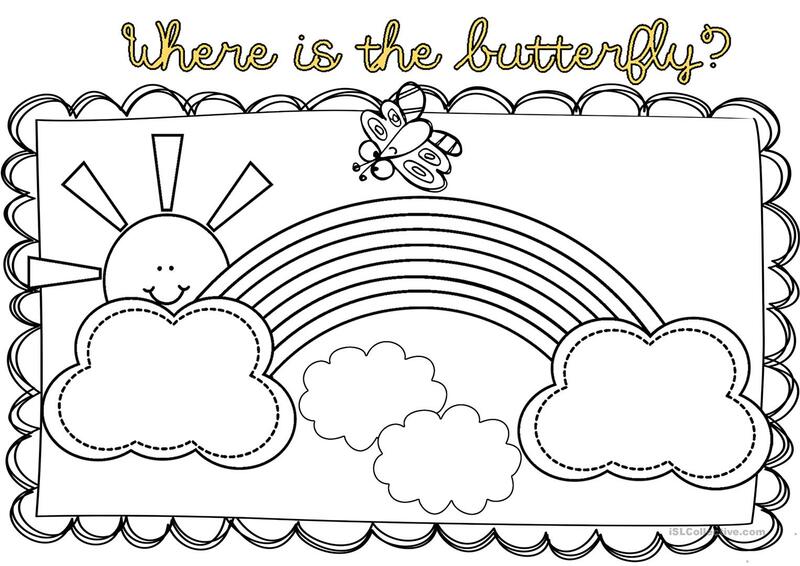 Students have to identify the position of the butterfly between prepositions of place: "on" or "over". I think this is a good way students can learn the differences between these prepositions. Thanks! The above printable, downloadable handout was created for kindergartners and nursery school students, adults and students with special educational needs, learning difficulties, e.g. dyslexia at Beginner (pre-A1) level. It is aimed at revising Prepositions and Prepositions of place in English. It focuses on the topic and words of Animals. I'm also a member in ESLprintables and I' m Chadelel's Design on TeachersPayTeachers.